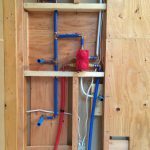 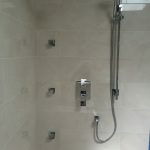 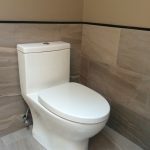 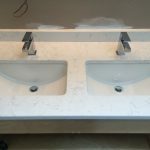 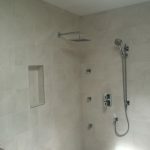 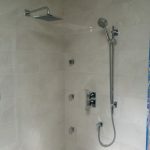 Riobel rain shower and body spray - Callaway Plumbing and Drains Ltd. | Callaway Plumbing and Drains Ltd.
CALLAWAY Plumbing and Drains Ltd. was contracted to relocate and install some new plumbing fixtures for a ensuite bathroom renovation. 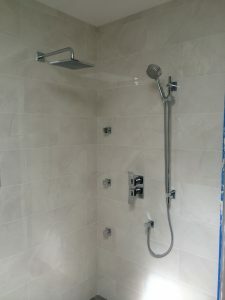 A new Riobel shower kit with rain shower and body sprays, a matching set of Riobel bathroom faucets for his and her basins and a new Blu one piece toilet. 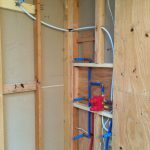 Another professional installation from CALLAWAY Plumbing and Drains Ltd.